As far as I know, as soon as the server admin enables mpcheat mode, the stats aren't going to be tracked. I reckon there aren't many populated servers around, so it probably be annoying to have to leave to another server just because the server admin has chosen to play in an unusual way. That's the only thing you can do anyway. It's very annoying like you said, there's not much server and people like this ruin completely the game. Anyway we can't doing anything about this guy like i understund, but thank you for answers and support guys. Damn I want have grafics like you in this game... nice video graffics.. and he cant see your message in game... you sending team message ... you must go global chat and when.writte with.T... about admin. Not all admins doing that. This is his desicion... so just relax. 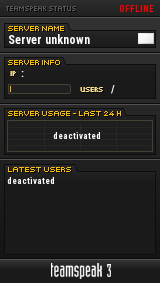 You cant change nothing sometimes he like do that.. but i never understand why when he change mode server dont restart? And ppl cant see something diferent? Hello Voras, well my settings help me a lot. I love play whit this graphic. Anyway i know i was typing in team, but in that moment i was a little bit nervous about situation. Server not restarting, so i think this is the problem. Why server not restart when he turn cheat mode on? Was already on? Maybe he cheating before and no one know that! I know i can't change anything, i'm not a hero. I just try to let know to the other players that this guy is really stupid and sometimes he ruin game. That's all! I'm all for cheating,to expel,especially admins,specially how good I am with them. as I recall, and kelo was sacked because of some kind of cheating..
Usually, I play twelve years and I have never cheated. and strictly to punish all. Using mpcheats in server where those are allowed is not cheating.I agree that it's not fair if it's not informed when it's turned on. because there was only allowed to play as admin and with mpcheat .. It's not cheating in that way. Those commands works when those are enabled by server admin and server doesnt need to be restarted when the cheat mode is toggled on/off. Those commands are listed in official game manual and are free information for all. If it's unfair that someone turns the mode on without informing about it, isn't it unfair as well to not tell how to protect yourselves from those ingame mpcheats? Thank you for video I do appreciate it.